Home - Carrie Barron M.D. 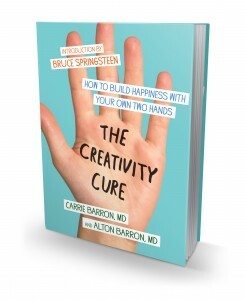 The Creativity Cure: How to build happiness with your own two hands. The Creativity Cure helps readers uncover creativity capacities though deepening self-knowledge. While a permanent state of happiness is not possible or even desirable, most people can achieve a greater frequency of peak moments.